Source: Air Nelson, Aviation New Zealand and Massey University School of Aviation, 2018. Chances of getting a job as an aeroplane pilot are good due to increasing demand. Pay for aeroplane pilots varies depending on their position, skills, and experience. Entry-level charter pilots usually work part time, on call, and are paid between $25 and $80 an hour, rather than an annual salary. Agricultural pilots start on between $50,000 and $70,000 a year, and can earn as much as $150,000. Pilots starting out on domestic routes (as first officers) usually earn $50,000 on turboprops and $90,000 on jet aircraft. They can progress to a maximum of about $150,000 on turboprops and $190,000 on jet aircraft when working as captains. Pilots starting out on international routes (as second officers) start on a training rate of about $80,000, rising to $92,000 when they qualify. As captains, they can earn up to $300,000. greet passengers, give them assistance if needed, and ensure they are seated. apply chemicals or fertiliser to farm land and keep records. knowledge of air and water quality plans (to avoid pollution) and industry codes of practice. travel between local or international destinations. Charter pilot Sheryl Jones thrives on challenge – and that's just as well. "All of a sudden I can have a flight I need to prepare for – it's exciting and very challenging." Sheryl's customers range from aerial photographers and fish spotters, to tourists, who she provides with sightseeing information. "We mainly fly overseas visitors, who are very interested in history and geology. "I love the job because each flight is different, and I love the people. But it's a big responsibility – plus dealing with the wind and the weather. "It's different from airline piloting. We don't have scheduled services, and it can be difficult to fit in being on call for flights with your lifestyle." 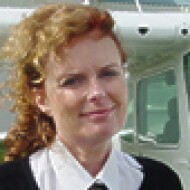 Sheryl says prospective pilots need to understand the challenges. "You have to be very tenacious to become a pilot. "There's a lot of training and it's expensive. Entry-level pilot jobs don't have very high pay. You really have to love flying, knock on doors of the places you want to work for, and be very proactive. "But flying gets into your blood, and it's hard to get away from it. I think you'll hear that from any pilot." To become a commercial aeroplane pilot you need a New Zealand Diploma in Aviation or a Bachelor of Aviation, which includes a Commercial Pilot Licence (CPL). pass the English Language Proficiency test. bigger types of aircraft such as turboprops or jet-engine planes. NCEA Level 3 is required to enter tertiary training. This includes 14 credits in English (or an English-rich subject such as history), and 14 credits in a number-oriented subject (such as maths or physics). If you are between 12 and 18 years old, you can apply to join the Young Eagles flying experience programme, run through local aero clubs. Aeroplane pilots need to have good hearing and eyesight (with or without corrective lenses), and good reflexes and co-ordination. Opportunities for aeroplane pilots are increasing due to more people travelling on domestic and international routes. Over 4,000 New Zealanders have Airline Transport Pilot Licences, according to the Civil Aviation Authority of New Zealand. Demand for agricultural pilots fluctuates as it depends on activity in the agriculture, horticulture and forestry sectors. Currently these sectors are strong, so demand for agricultural pilots is reasonably high. Your chances of getting agricultural pilot work are best if you can secure an entry-level position in an agricultural flying business. This type of position can involve administrative tasks and flying one to two hours a week, for example. Pilot vacancies at agricultural businesses are rarely advertised and are usually filled by internal candidates. Sometimes they are filled by word of mouth, so it’s worth approaching employers directly. About 80% of aeroplane pilots in New Zealand work for Air New Zealand. Jetstar and Virgin Australia also employ New Zealand pilots. Lukey, M, training manager pilot, Air Nelson, Careers Directorate – Tertiary Education Commission interview, February 2018. Whyte, C, chief flight instructor, Massey University School of Aviation, Careers Directorate – Tertiary Education Commission interview, February 2018. Aeroplane pilots may progress to operating larger, more complex aircraft. They can also move into the role of flying instructor. Pilots may also choose to specialise in flying smaller planes. Agricultural pilots fly aircraft to apply agricultural chemicals or fertilisers to farmland. They may fly fixed-wing aircraft or helicopters. Charter pilots fly tourist or air ambulance services, or provide services such as aerial photography or land surveying.